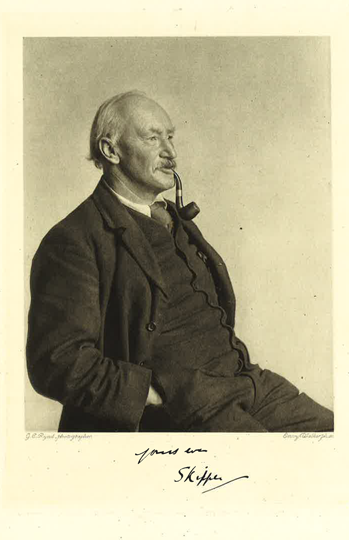 It transpires that Leonard Campbell Taylor – younger brother of Fluff Taylor and the artist responsible for the front cover of our magazine, the ‘Draconian‘ – has been involved in most interesting work as a War Artist. 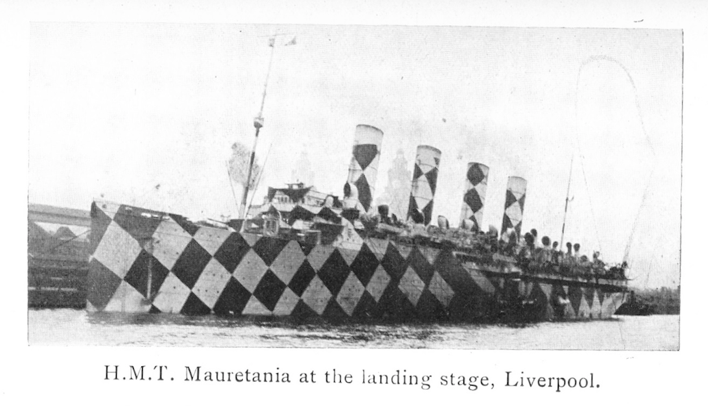 He was attached to the port of Liverpool to supervise our ships with dazzle camouflage. He is now able to reveal some of his work for us. 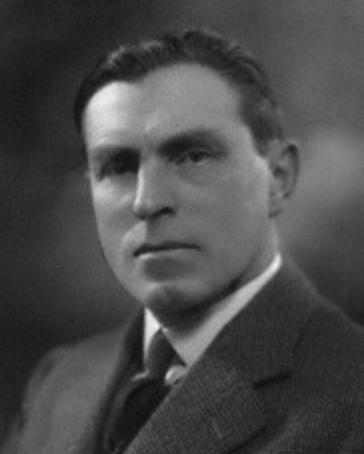 The person credited as the inventor of dazzle painting is Lieut.-Commander Norman Wilkinson (RNVR), who had been a marine artist before the War. “There were about 420 designs in all, so many being applicable to each of the (roughly) 30 different types of merchantmen in existence, but special plans were designed for the large liners such as the Olympic, Mauretania, Aquitania, and Leviathan and for HM Cruisers, Sloops and Gunboats, each having its own design and sharing it with no other vessel. Nearly all ships over 100 feet in length were eventually dazzled and on arrival in port, no matter how short a time previously painted, each vessel had to be touched up or entirely repainted with a new plan if the inspecting dazzle officer considered it necessary.